Yanev Suissa, a venture capitalist formerly with New Enterprise Associates, wants to invest in startups that could eventually snap up government contracts. His approach, he admits, is unorthodox: to invest in startups who have so far had nothing to do with the public sector. A former senior investment officer under the Bush and Obama administrations, Suissa recently founded SineWave Ventures, an early-stage investment fund aiming to back commercial startups and help guide them through marketing to local, state and federal governments. The recession has expanded the business advantages of Georgia manufacturers that compete on the basis of innovation in new or technologically improved products, processes, organizational structures or marketing practices. These innovative companies are more than twice as profitable as firms competing on the basis of low price. That’s one conclusion of the 2010 Georgia Manufacturing Survey, which also found that companies are preparing for post-recession growth, expanding export capabilities, addressing sustainability issues — and still dealing with out-sourcing and in-sourcing. The survey, which included nearly 500 manufacturers, was conducted by Georgia Tech’s Enterprise Innovation Institute, the Georgia Tech School of Public Policy, and Kennesaw State University, with support from the Georgia Department of Labor and accounting firm Habif, Arogeti & Wynne, LLP. Georgia has approximately 10,000 manufacturers that provide nearly 350,000 jobs and account for 11 percent of the gross state product. Workers in manufacturing companies earn wages averaging nearly twice those of workers in retail companies. As part of the survey, companies were asked to rank six competitive strategies for their importance to winning sales. More than half of the respondents mentioned “high quality,” while approximately 20 percent chose “low price” or “adapting to customer needs.” Fewer than 10 percent reported “innovation/new technology” as a primary competitive strategy. Across all six strategies, innovation was associated with the highest mean return on sales: 14 percent, compared to just six percent for the low-price strategy. And those financial benefits extended to workers, whose annual salaries averaged $10,000 per year more at innovative manufacturers than at other companies. The top five innovative tactics reported by respondents were (1) working with customers to create or design a product, process or other innovation, (2) signing a confidentiality agreement to access a new product or process, (3) working with suppliers to create or design a product, process or other innovation, (4) purchasing new equipment, and (5) conducting research and development activities in-house. Companies often cite cost as a reason for not innovating, but Shapira noted that only 10 percent of companies take advantage of R&D tax credits; fewer still use investment tax credits. “While financial incentives can assist innovation, there is a greater need to build awareness and capabilities among more of the state’s firms to undertake innovation,” he said. The survey found that 70 percent of respondents were looking for new customers, 20 percent planned to expand capital investment, and 15 percent planned to increase expenditures on research and development. At the same time, 60 percent of respondents said they still planned to cut costs. Another trend studied was growth in the number companies selling to international markets. More than half of the responding manufacturers said they were exporters — and those manufacturers reported 50 percent higher profitability than non-exporters. Some 22 percent of respondents had increased their export sales since the last survey in 2008. The survey also found that out-sourcing of work has leveled off, with approximately 16 percent of manufacturers affected by the loss of business in 2010. At the same time, the percentage of firms benefitting from in-sourcing — movement of work to Georgia — has grown to nearly 15 percent. The study also looked at sustainability issues, and found that 60 percent of companies recycle and attempt to reduce waste — one form of sustainability. However, just 11 percent of respondents had inventoried their carbon footprints or emissions, and fewer than five percent were using renewable energy. Media Relations Contacts: John Toon (404-894-6986) (jtoon@gatech.edu) or Nancy Fullbright (912-963-2509) (nancy.fullbright@innovate.gatech.edu). A division of Wal-Mart Stores Inc., which is based in Bentonville, Ark., is testing a program with Superior Financial Group, one of 13 federally licensed nonbank lenders, and will offer $5,000 to $25,000 loans to members who qualify. Sam’s Club says 15 percent of its business members reported they were denied a loan in a November survey. That’s up from 12 percent in April 2009. Businesses can pay $35 for a membership to Sam’s Club that includes three annual membership cards that allow them to shop at 600 Sam’s Clubs in the U.S. Sam’s Club offers other memberships to consumers and businesses that cost as much as $100 annually depending on the features included. “Access to capital is a major pain point for our members,” said Catherine Corley, vice president, membership at Sam’s Club. — Copyright 2010 The Associated Press. Georgia Tech’s startup accelerator, the Advanced Technology Development Center (ATDC), celebrated 30 years of helping launch and build technology companies with a “Startup Showcase” attended by more than 500 persons on May 24th. At the event, ATDC added four companies to its long list of graduates. Georgia Tech President G.P. “Bud” Peterson was the main speaker, reviewing the ATDC’s history and congratulating members of the Committee of Twenty – Georgia Tech alumni whose interest in technology startups during the late 1970s led to formation of the incubator. Nearly a year ago, ATDC opened its membership to all technology companies in Georgia. On the day of the Showcase, ATDC had 321 members. “That makes us the largest technology incubator, as far as I know, in the world,” Fleming added. The startup accelerator still focuses on companies that are developing new technologies, but no longer emphasizes raising venture capital. That’s because many entrepreneurs are now bootstrapping their operations or have independent sources of funding, Fleming said. Even with the incubator’s reduced fund-raising focus and the down economy, ATDC companies still raised a total of at least $150 million in venture capital during the past year, Fleming said. 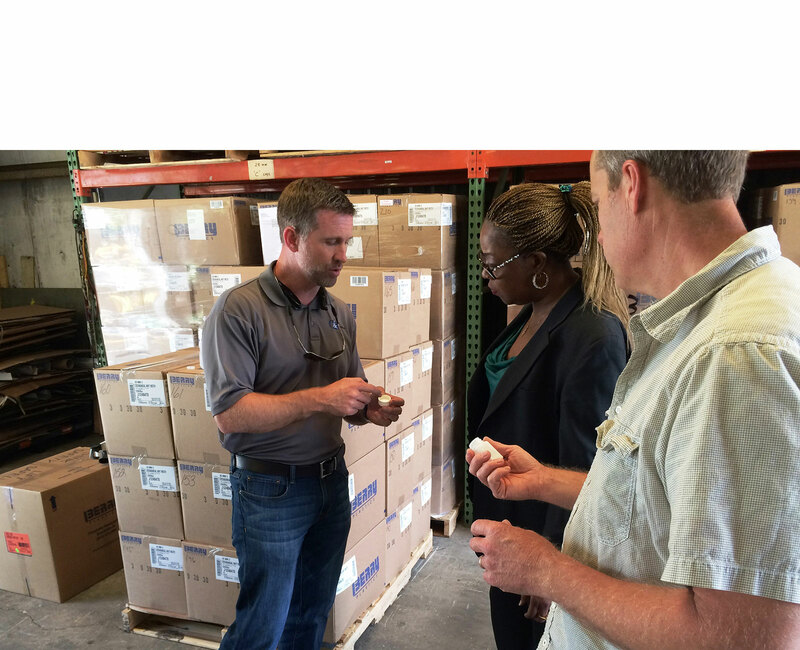 ATDC is also expanding the geographic breadth of its operations beyond its physical incubators in Atlanta and Savannah. At the Showcase, Fleming announced that ATDC would begin offering educational programs in Gwinnett County, along with regular office hours to meet entrepreneurs – though there are no current plans to provide incubator space there. He also noted that ATDC has resumed its focus on biosciences companies with the hiring of two staff members – Nina Sawczuk and Harold Shlevin – both with long experience in the life sciences industry. Fleming congratulated representatives from four companies that had met requirements for graduating from the incubator. The four – CommerceV3, Endgame Systems, Izenda Reports and Purewire – joined 120 other companies on a list of ATDC graduates that goes back to 1986. President Peterson took note of ATDC’s best known graduate: Suniva, which became the Southeast’s first manufacturer of photovoltaic cells in 2009. The firm grew out of research in Georgia Tech’s University Center of Excellence for Photovoltaics Research and Education, which is part of the School of Electrical and Computer Engineering. 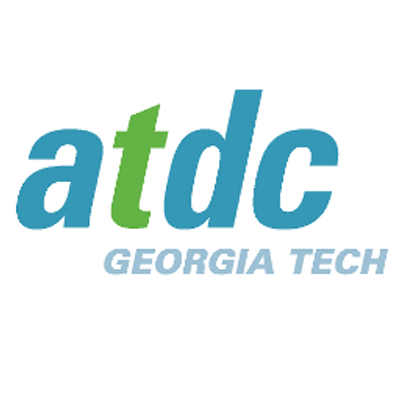 About the ATDC: The Advanced Technology Development Center (ATDC) is a startup accelerator that helps Georgia technology entrepreneurs launch and build successful companies. For 30 years, ATDC has helped create millions of dollars in tax revenues by graduating more than 120 companies, which together have raised more than a billion dollars in outside financing. ATDC has provided business incubation and acceleration services to thousands of Georgia entrepreneurs. Recently, ATDC expanded its mission by merging with Georgia Tech’s VentureLab and with the Georgia SBIR Assistance Program, which are also part of Georgia Tech’s Enterprise Innovation Institute. This change has enabled ATDC to greatly extend its reach to serve more technology companies along multiple growth paths and at all stages of development. ATDC has opened its membership to all technology entrepreneurs in Georgia, from those at the earliest conception stage to the well-established, venture-fundable companies.